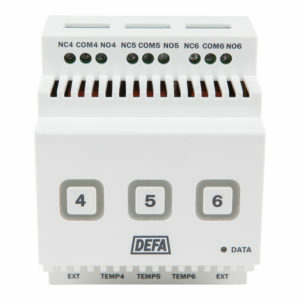 Remote controlling the panel heaters in your cabin is the easiest way to increase your comfort and protect your pipes. All panel heaters can be controlled though our cabin control solution. Panel heaters with a regular plug can easily be controlled through wireless contacts installed between plug and the socket. The wireless socket is controlled through our Base Units and enables you to turn the panel heater on and off. You can give the socket a zone number between 1 and 6. Multiple sockets can be connected to each zone. 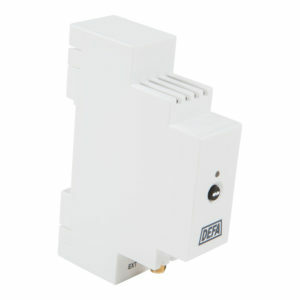 With a temperature sensor, the socket will work as a thermostat. You are free to decide what temperature each panel heater should hold. The thermostat on the panel heater should be set a little higher so it doesn’t interfere with the socket control. You can set your desired temperature for the zone thorough your app. 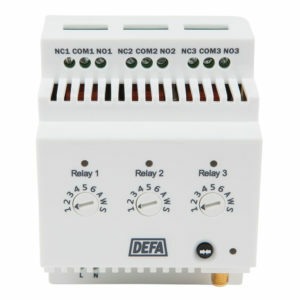 Our wireless sockets are compatible with Base Unit DIY and Base Unit PRO with a Radiomodule. If you’re building a new cabin you should consider a separate circuit for the panel heaters you want to control. 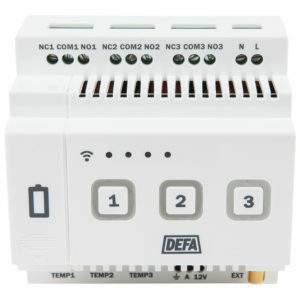 You can choose panel heaters that are directly connected to the circuit, or you could install a separate control wire to heating units you want to control. By doing this you don’t need to install sockets. A temperature sensor in each zone can work as a thermostat. This overview over recommended effects based on room size. You should also consider ceiling height and how well your cabin is isolated. It is recommended that panel heaters are placed under windows. This creates a wall of warm air against draft from the window.